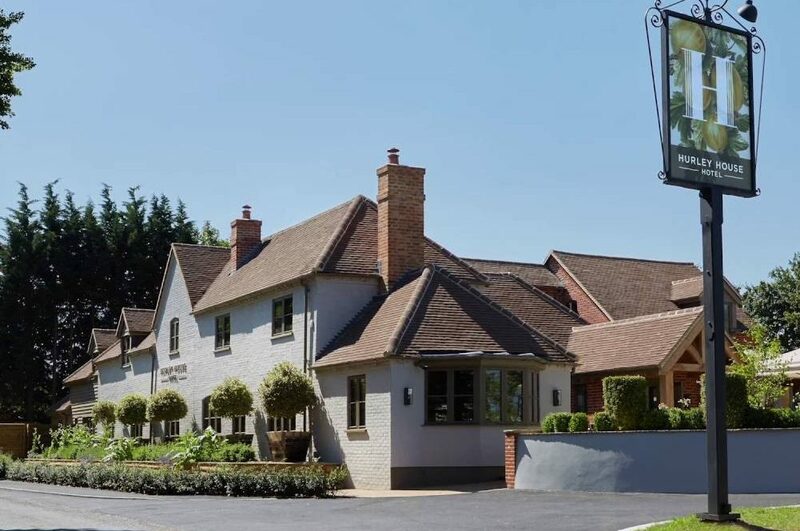 Escape to the country for a luxury overnighter at this relaxing Berkshire bolthole – top nosh and quality starfishing await. Kids dropped off, we were wheel spinning out of the drive to get to the Hurley House Hotel. 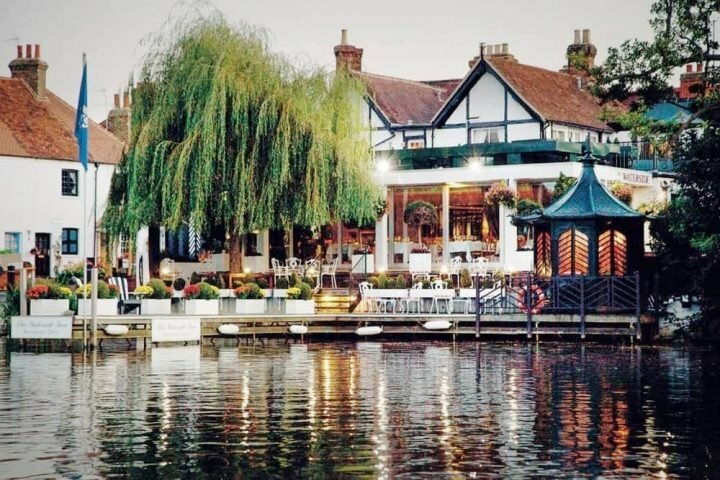 Mr Muddy and I were just a teeny bit excited to be staying at this chic boutique bolthole in the picturesque riverside village of Hurley in Berkshire. It’s not that we don’t get out much, that’s simply not possible on Muddy, but a whole 24 hours of proper grown up conversation, a night of copious gins and bit of R&R is exactly what these two frazzled parents needed. 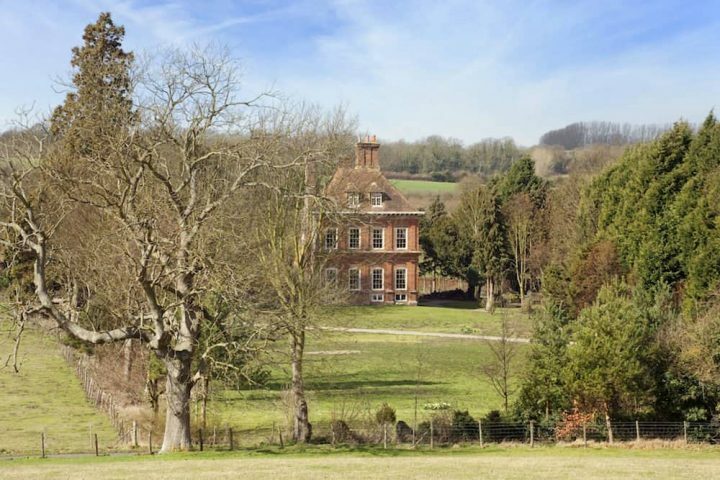 Hurley House is nestled between Marlow and Henley with the Chiltern Hills just to the north. 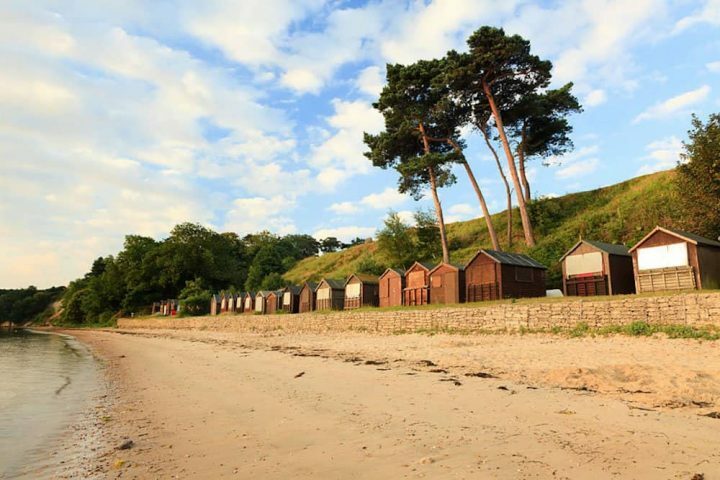 It’s really pretty and the Thames path provides lots of great walks (albeit muddy ones) plus you’re close to Ascot Racecourse, Stonor Park, Windsor Castle and the gastronomic haven of Bray. But the biggest draw is the exquisite food, their a la carte menus feature incredible dishes with flavours that pack a punch. To say the hotel’s undergone a bit of a refurbishment, is an understatement. It was bulldozed in 2016 and built from scratch, costing a eye-watering £6million to perform architectural CPR. You’re not going to find a rich history here, but there’s plenty of character in the bar and restaurant areas. Every detail’s been thought of to create a feeling of being cocooned in a country inn but one so luxurious, you’ll never want to leave. A lifetime of loafing here, hell yeah. If the history nerds get restless, pack them off into the village to get their Time Team fix at the 11th century priory. Traditionally this would be me. I love a crumbling wreck, but my head’s been turned by modern rustic loveliness and, until I check out, all eyes are on the drinks, food and divine décor. The first thing you notice? The place is absolutely spotless. I bet the snagging list was like a copy of War & Peace. I challenge you to find anything from a speck of dust to a dirty mark on the wall. 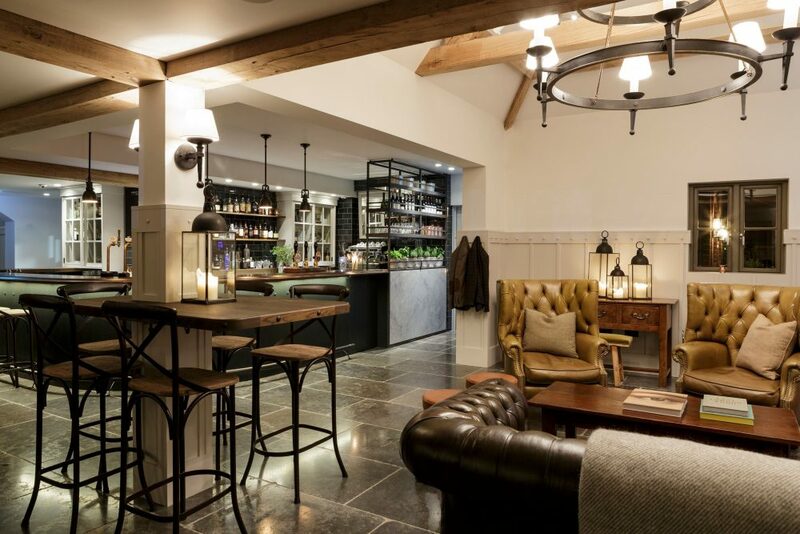 Inside you’ll find a stylish bar area full of comfy sofas and wingback chairs arranged around a wood burner. 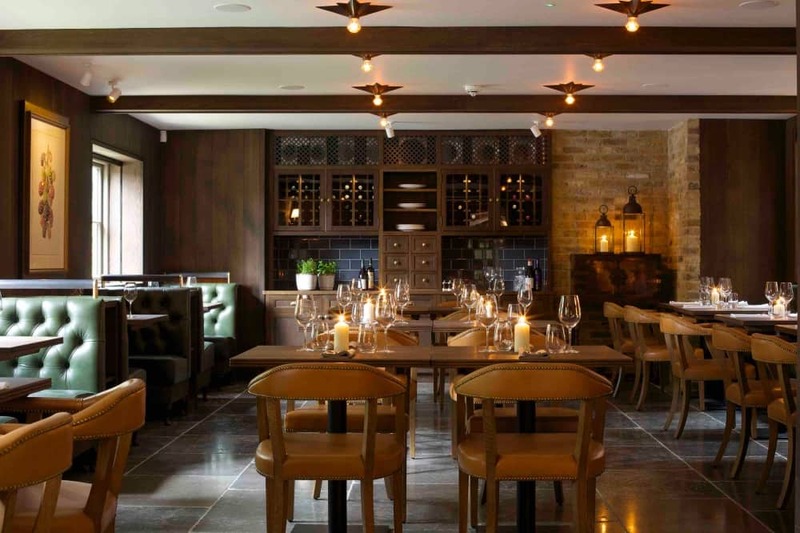 There’s loads of exposed brick, a mix of industrial and art deco style lighting and a dimly-lit dining room with green banquettes. You know how I love a banquette. The garden is perfect for the summer months, with plenty of seating and an outside bar area to encourage yet more loafing when the weather warms up. The proximity of a fairly busy main road is the only downer, but you don’t notice any passing traffic in the bar, dining room or bedrooms. And by the time you realise you’ll probably be on your their gin anyway *hic. The 10 rooms are split over two levels. 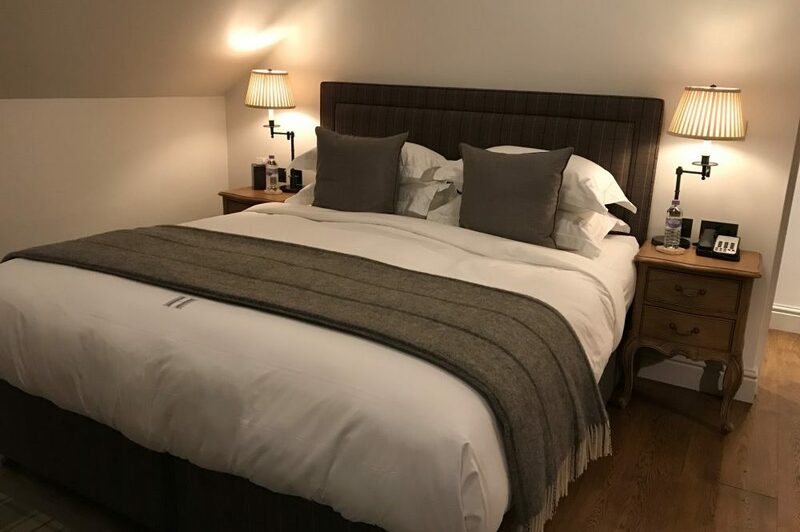 The rooms are a bit 50 shades of grey (with or without any naughtiness), they were bright, homely with exposed beams, monogrammed bedding, towels and dressing gowns (and, no, I didn’t smuggle the ridiculously fluffy robes in the Muddy holdall). You’ll even find those new clothbound Penguin classics (with the price tag still stuck on the back, oops – £15 each). 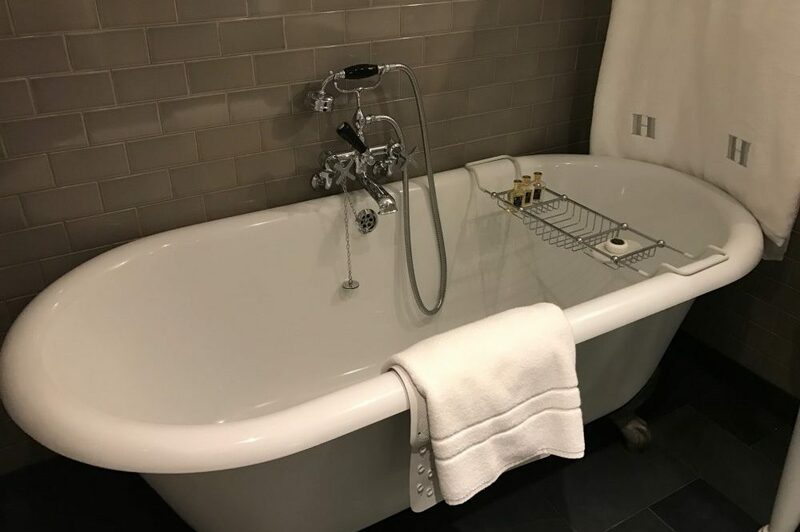 The bathroom ticked all the boutique hotel boxes. Freestanding bath, lush walk-in shower and quality miniature products. Talking of miniatures, the mini bar is tucked out of sight, so you can enjoy your room without an ugly fridge to tarnish the view. Bottle of wine, posh snacks and a Nespresso machine. It’ll be a miracle if I make it out the room. As for our proper grown up dinner, well the menu relies on top quality ingredients and tried-and-tested pairings, but I have to mention the bread. The phrase ‘no carbs before Marbs’ is alien to me. I bloody love carbs and in the words of Rick Astley I’m NEVER gonna give you up. 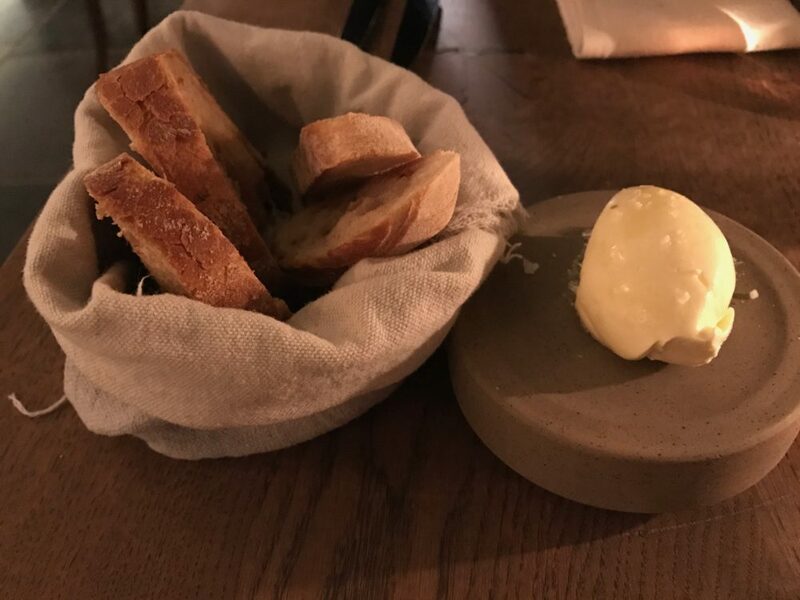 The bread at Hurley House is freshly baked and comes in a cute cloth bag, but the butter’s something else. It’s aerated! It’s a new one on me, but it makes it super light in texture. Sadly doesn’t have the same effect on the scales. Having OD’d on bread and butter, the starters arrived. 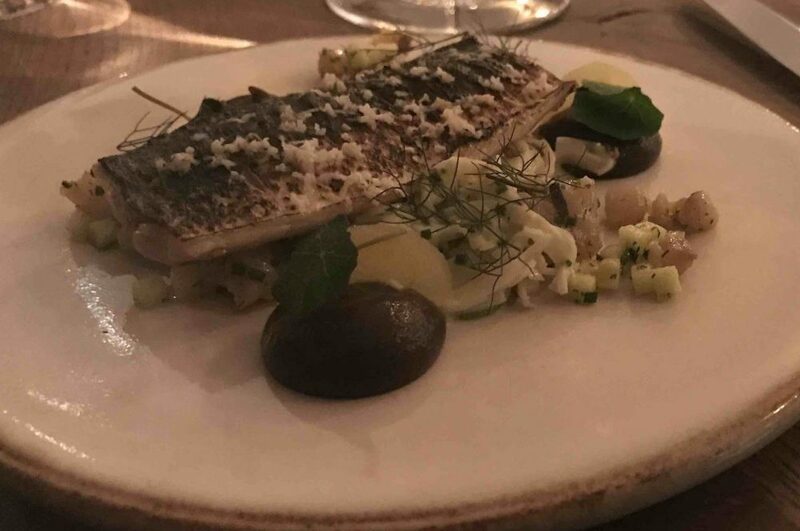 I tucked into the Cornish brown crab with blood orange, cucumber and watermelon radish (you can take the girl of the West Country, and all that), while Mr Muddy went for Blow-torched Brixham mackerel with celeriac remoulade and apple (starters from £7.50). Proper lush. 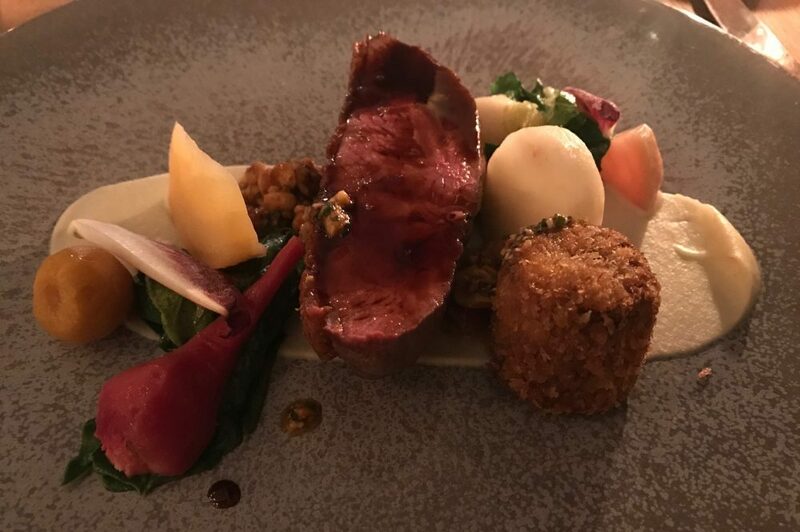 The next dish was duck with a confit leg croquette, heritage beetroots, radicchio and hazelnuts (£26) and Mr M predictably had the Herefordshire fillet of beef (£30). Portion sizes were good and cooked to perfection. Having packed our roomiest clothes that stopped short of being a muumuu we pressed on with pudding. Salted caramel tart for himself and a tangy Yorkshire rhubarb crumble for me (proper old school). I can’t fault the food or the service – and others agree. The restaurant was packed with buzzing diners all wowed by the dishes being placed before them. Although the majority of guests are couples, there are plenty of groups having a meal and hanging in the bar. Stuffed, we rolled over to the comfy bar area, knocked back a few gins, giggled a lot, before retiring to Room 6 to eek out the peace and tranquility for just a bit of longer. I love my boys but, every now and then, I could love the escapism of Hurley House just as much. Good for: frazzled couples needing a night away, romantic breaks, foodies and groups of friends wanting a sophisticated shindig. Not for: those on a tight budget or couples with very young children. £££: It’s not cheap, but I’d say you get a lot of bang for your buck. Our room, a superior costs from £200 and a standard is from £140. Look out for special offers. Breakfast is included, bloater bonus. I had the full English. It was very good.